Who is eligible to join the Clubhouse? Potential members are asked to come in for a tour of the Clubhouse and complete simple enrollment paperwork. Tours are given Monday thru Friday at 9:30 a.m. and 1:30 p.m. (except we do not offer tours Wednesdays at 1:30pm). The Meeting Place is open Monday thru Friday from 8:00 am to 4:00 pm. Clubhouse membership is free of charge to anyone who meets our eligibility criteria. The Meeting Place Clubhouse is funded by the County of San Diego Health and Human Services Agency. Does the Clubhouse provide a pick-up and drop-off from the bus or trolley? Yes. To request a pick-up/drop-off you must put your name on the list at the Receptionist desk at least 30 minutes prior to your requested pick-up/drop-off. The Middletown Trolley Stop at the corner of Kettner and Olive St.
Why choose The Meeting Place Clubhouse? The Meeting Place (TMP) is California’s first Clubhouse International Accredited Clubhouse. Clubhouse Accredited Clubhouses are listed under SAMSHA as an evidenced based best practice. At The Meeting Place each individual is welcomed, wanted, needed, and expected each day and is considered a critical part of a community engaged in important work. All work of the Clubhouse is designed to help members regain self-worth, purpose and confidence. 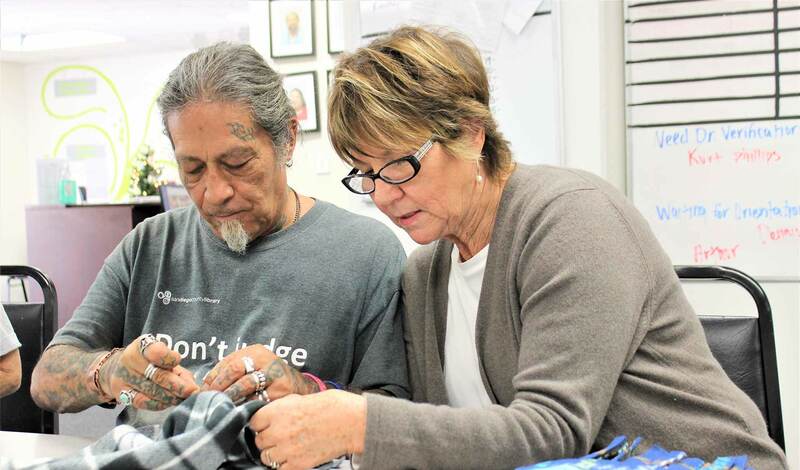 Clubhouse staff members function as generalists and maintain a caseload, including managing employment placements, housing issues, and access to community supports. They also are responsible for the ongoing work of the Clubhouse and help organize and participate in social activities. Staff have diverse life experiences and backgrounds in a variety of disciplines, including psychology, social work, communications and education. 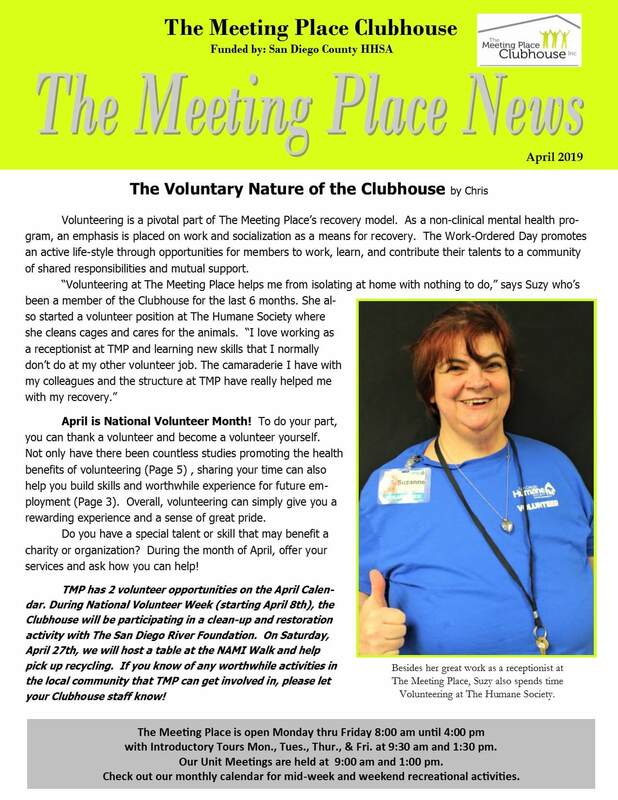 How can I support The Meeting Place Clubhouse? The Meeting Place Clubhouse gratefully accepts donations to help us improve the lives of adults diagnosed with mental health disorders. All donations are tax deductible.